Whether you’re transitioning to a completely plant-based diet or you just want some ideas for how to prepare scrumptious veggie dishes, Heather Crosby provides a step-by-step guide to adding good stuff into your existing routine. 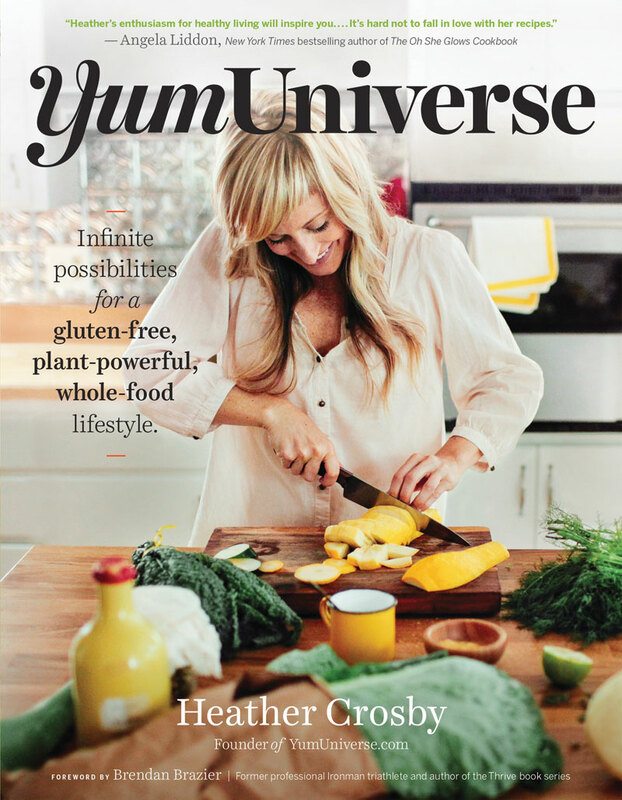 YumUniverse: Infinite Possibilities for a Gluten-Free, Plant-Powerful, Whole Food Lifestyle offers a creative collection of more than 150 amazing recipes developed by Heather, all with no meat, dairy, gluten, or soy. But this is more than just a cookbook—it’s a treasure chest that will help you build health-promoting habits and recipes of your own for a lifetime. Once a bacon-loving skeptic, Heather knows first-hand how overwhelming yet rewarding the transition to a plant-based, gluten-free diet can be, so she’s included essential, everyday know-how for folks seeking to adopt and maintain a healing whole foods diet. Fans of YumUniverse.com, Heather’s inspirational food blog, and new readers alike will discover unique recipes that are as delicious as they are beneficial. With hearty dishes such as Skillet Crusted Sweet Potato Gnocchi and Cardamom Cream Chia Pudding with Raspberries, as well as divine desserts such as Mexican Unfried Ice Cream and Chocolate & Salted Caramel Stack Cake, Heather’s recipes will have you saying “yum” and finding joy in clean foods that respect and nourish your body. A plant-based, gluten-free diet is delicious and doable. So say goodbye to temporary dieting and embrace healthy, incredible dishes as part of your long-term wellness adventure! Heather Crosby is the author of the book YumUniverse: Infinite Possibilities for a Gluten-Free, Plant-Powerful, Whole-Food Lifestyle, and is a T. Colin Campbell Foundation certified plant-based wellness coach who has developed a unique and well-loved collection of over 500 gluten-free, plant-based recipes on her popular website YumUniverse.com. 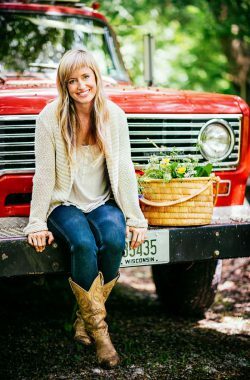 In an effort to kick medication and heal naturally from disease, she's been fine tuning the maintenance of a plant-inspired lifestyle for almost a decade, and sharing what she's learned with thousands of folks all over the world—because a journey is always better shared with friends.